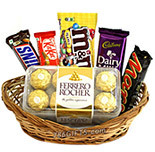 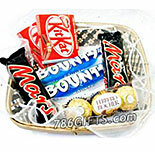 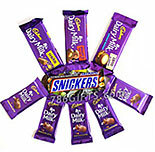 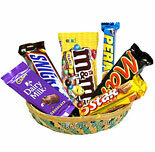 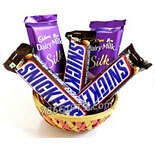 Chocolate Gifts Baskets to Pakistan | Send online Chocolate Baskets. 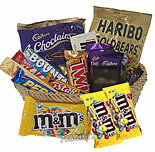 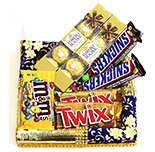 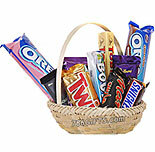 Send Chocolate Gift Baskets to Pakistan from our large collection of gifts. 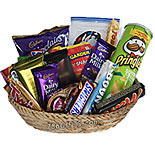 Our Chocolate Gift Baskets consists of Chocolates from all major brands in Pakistan like Cadbury, Kitkat, Snickers, Mars, Bounty, Ferrero Rocher and more. 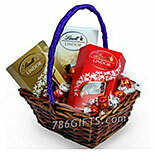 You can also admire your love by sending Chocolates in addition to other gifts. 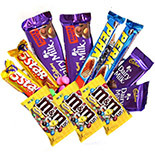 If talking about chocolates, truly they are the most favorite gift of everyone. 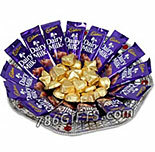 The chocolates are the most heart-touching gift for telling someone that you love him or her a lot.